Thaddeus Wadas, PhD, develops radiopharmaceuticals for use in diagnostic clinical imaging, disease detection and cancer therapy, including a unique approach for producing radiolabeled contrast agents for positron emission tomography (PET) scanning. He helps industry partners evaluate therapeutic molecules that they identify as lead candidates for treating various disease states and works with these companies to improve their safety and efficacy. Thaddeus Wadas, PhD, earned his master’s degree and doctorate in chemistry from the University of Rochester. In 2009, he completed postdoctoral studies in radiologic science at Washington University School of Medicine, where he researched radiopharmaceutical development primarily related to copper, and then joined Wake Forest School of Medicine’s department of cancer biology in 2011. In his research, Wadas focuses on molecular imaging using radiopharmaceuticals for both diagnostic and therapeutic purposes. He has developed a new method and composition for attaching Zirconium-89, a radioactive isotope, in order to label antibodies for targeted imaging. In this unique approach, he uses Zirconium-89 in Immuno-PET detection because of the molecule’s extended half-life, in vivo stability and targeted tumor detection capabilities. His method for attaching Zirconium-89 improves the safety and effectiveness of these radiopharmaceuticals in precision medicine applications by increasing their stability after patient injection. Wadas also develops systemic targeted radiotherapies for cancers and other diseases based on the alpha particle emitter Actinium-225. Through collaborations with research groups, start-up companies and industry, he develops therapeutic molecules to detect and treat disease and facilitates the translation of these molecules to clinical trials. He is also involved in partnerships to test antibodies and generate radiolabeled analogues for specific diseases. Another aspect of Wadas’ research involves using zirconium-89 immuno-PET to detect stromal cells, mechanical structures that aid tumor growth and survival. 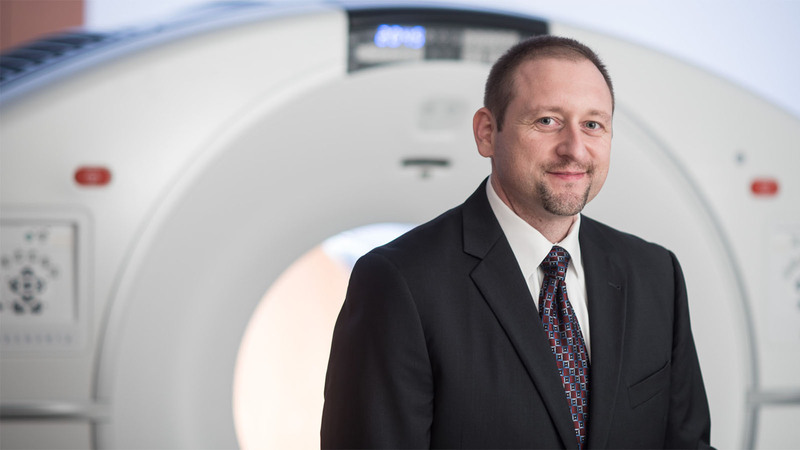 He believes this imaging approach will be especially effective for detecting pancreatic cancers with high stromal content. Wadas seeks partnerships to demonstrate the safety and effectiveness of the contrast agents he develops for visualizing disease states in patients with cancer, cardiovascular disease, arthritis and Alzheimer’s disease. In addition to his research efforts, Wadas is a science and technology consultant for Lumiphore, Inc. and an associate editor for the American Journal of Nuclear Medicine and Molecular Imaging. He has been awarded grants from the Department of Defense, the National Science Foundation and the National Institutes of Health. Novel methods and compositions for immuno-PET detection detect tumors with better in vivo stability and production safety than current clinical standards.